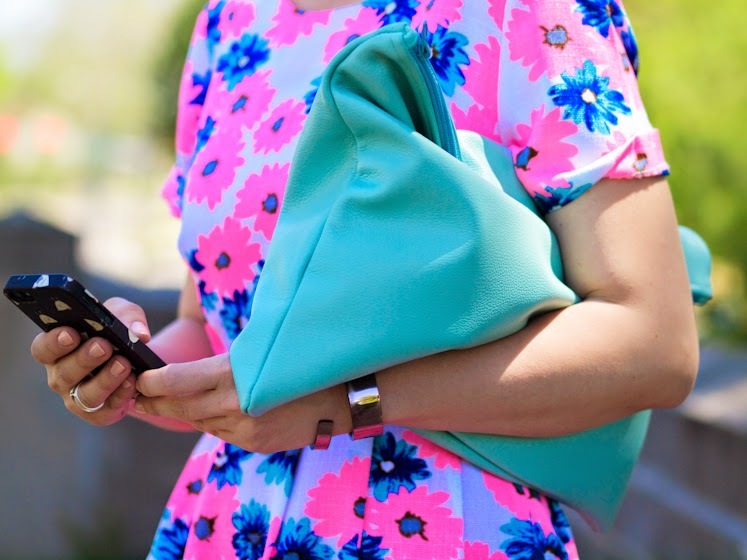 Obviously I can't stay away from vivid colors, floral prints and dresses! This dress is so cute and perfectly unexpected! The scalloped edge in the back is my favorite detail! Great dress my sweet Veronica! I thought it was a vintage piece!!! Absolutely in love with this dress!!! Wow such a gorgeous dress, love the vibrant colours! Love your colorful look! I need a blue clutch!